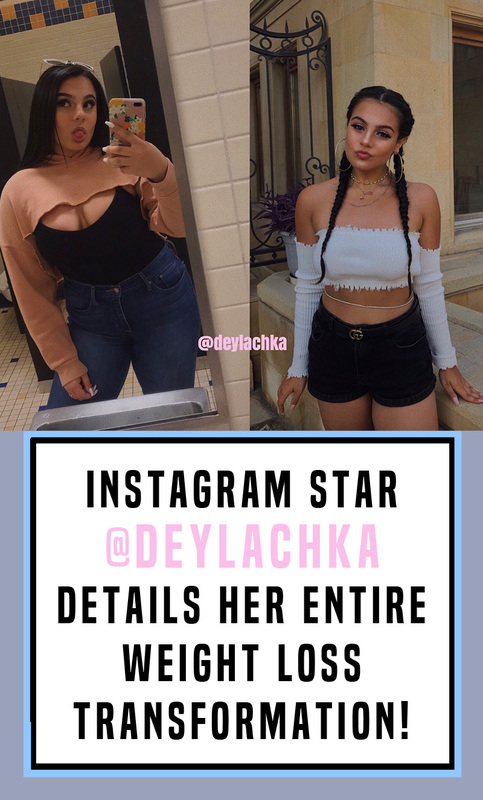 Instagram star Deylachka had one of the most viral weight loss transformations on Instagram this year. 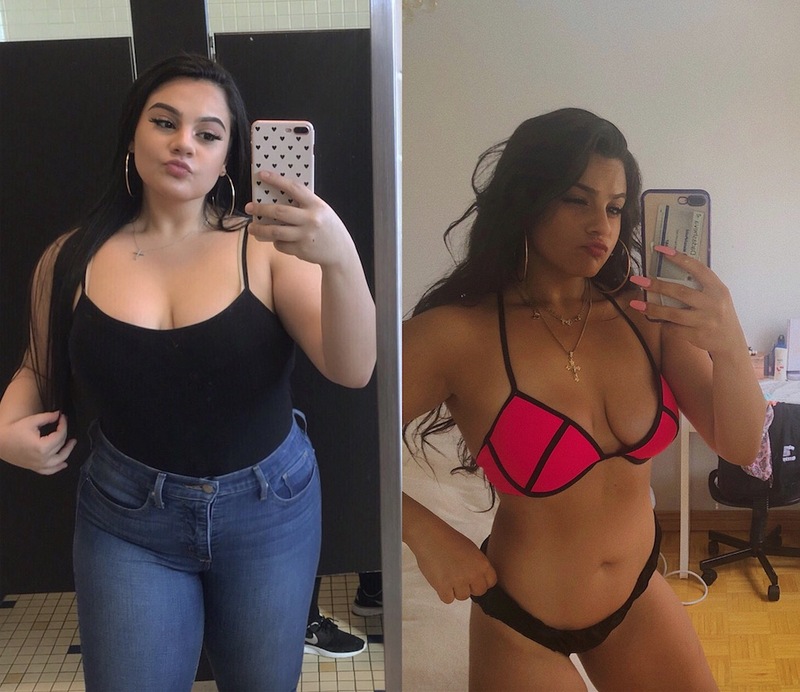 Accompanied by an incredible video, showcasing her weight loss through the months, she has inspired countless people to begin their own weight loss journeys. With the influx of followers to her page, with most having the same questions, “How?”, “What did you eat?”, “How much cardio did you do?”, she decided to write out a few posts, detailing her days of training and eating and tips for dieting and staying motivated. So keep reading if you want to learn more and find out what you can put into practice in your own weight loss journey! 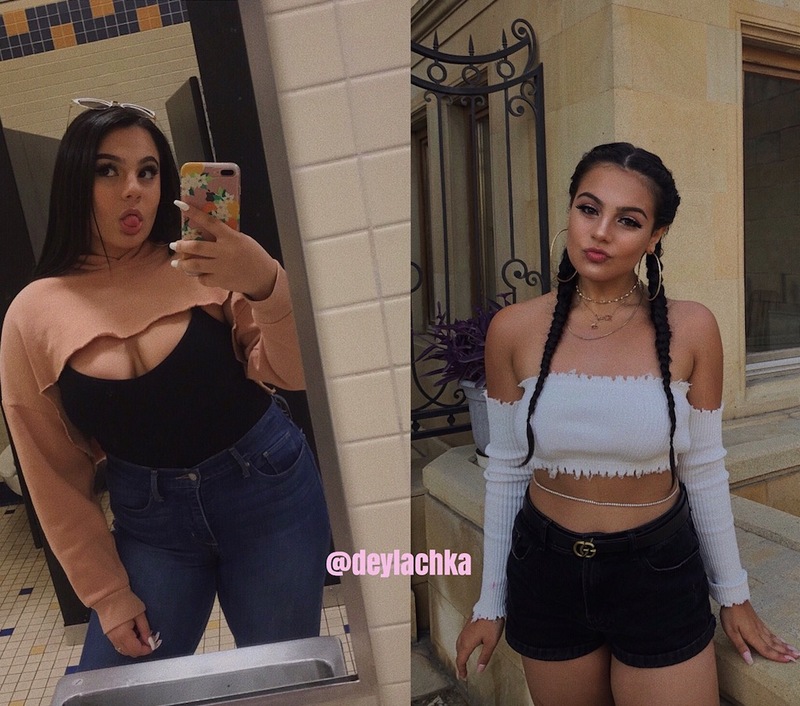 Be Sure To Follow @Deylachka on her Instagram here: @Deylachka. If you are seriously looking into losing weight, go to your doctor first, that is very essential. Always drink water when you wake up in the morning and every 30 minutes before you eat to be full for longer. Fruits and veggies are low in fat. They provide flavour and variety to your diet. They also contain necessary fiber, vitamins and minerals. Eat real food! Another common mistake when on a weight loss diet is getting fooled by the creative marketing of special “low carb” products. Stick to real foods! Always look at food labels, watch out for “wheat flour” (also called “white”, “refined” or “enriched” flour) on the ingredients list. Also, limit foods with added sugar, such as soda and candy. Nuts, fatty fish, avocados and vegetable oils supply healthy unsaturated fats. Try to stay away from salt. Too much sodium in your diet can also cause bloating because it causes you to retain extra water which is so annoying. Excess sodium raises blood pressure in many people and has other harmful effects. Look out for your portions! Let’s say you go out with friends to dinner and you have to face higher calorie foods, portion control is key. In restaurants choose an appetiser instead of an entree or split a dish with a friend. If you’re trying to lose weight you should aim to eat only when you are hungry. Nothing slows down weight loss more than frequently eating a lot of food that you do not need. The overall diet I did revolved around staying under 1600-1700 calories while going to the gym and burning 400+ calories! So it’s important to choose and eat foods that are high in volume yet low in calories. Breakfast: Coffee with almond milk. Egg white omelette with grilled tomatoes and peppers, grapefruit and greek yoghurt. Snack: Raspberries with mini chocolate chips put into the centre or a rice cake with almond butter and sliced strawberries, it really helps with the cravings. Dinner: Baked parsnip chips with grilled salmon or chicken (your preference) with broccoli and peas. We all have different bodies, different height, weight, muscle mass, age. We all have different genetics, what works wonders for one person might not work for another person. If you truly want to change, it has to be important to you. But, without YOU knowing why it’s important to you, it’ll be hard to continue the daily work that it requires. Think about it, why is loving you and your body important for you right now? Listen to yourself and nobody else. Staying motivated was definitely a challenge but after I set a goal weight of 150, focused on the process and picked a plan that fit my lifestyle, it made everything a lot easier. Clearly define all the reasons you want to lose weight and write them down. This will help you stay committed and motivated to reach your weight loss goals. In my opinion I definitely suggest avoiding stretch diets, instead, consider creating your own custom plan based on my past tips of: Decreasing calorie intake, reducing portion sizes, reducing frequency of snacks, reducing fired food and desserts, including fruits and vegetables into your meals. Self-monitoring is so important to weight loss motivation and success. I love the app MyFitnessPal because I can put in any food that I ate into it and it’ll tell me how many calories/the nutrition etc. On a serious note, it’s so important to not feel alone. Sometimes just admitting our fears and insecurities is such a relief. Whether it be a sibling, friend, partner, coach or group, find others you can be vulnerable and open with who support you. Nurturing people in your life are key for growth. Seriously, you shouldn’t be weighing yourself 3 times day. I used to do that like 3 times a day and it was so discouraging. One day, I would weigh 140lbs, then the next, I would be 155lbs. Instead now I weigh myself every two weeks and that works perfect for me. Avoid beating yourself up when you make a mistake. Self defeating thoughts will just hinder your motivation and make everything tough. Instead forgive yourself, when you aim for perfection, you will quickly lose your motivation, by allowing yourself some flexibility and forgiving yourself, you can stay motivated throughout your entire weight loss journey. Previous article 60 Insanely Delicious Chicken Recipes That Can Help You Lose Weight! 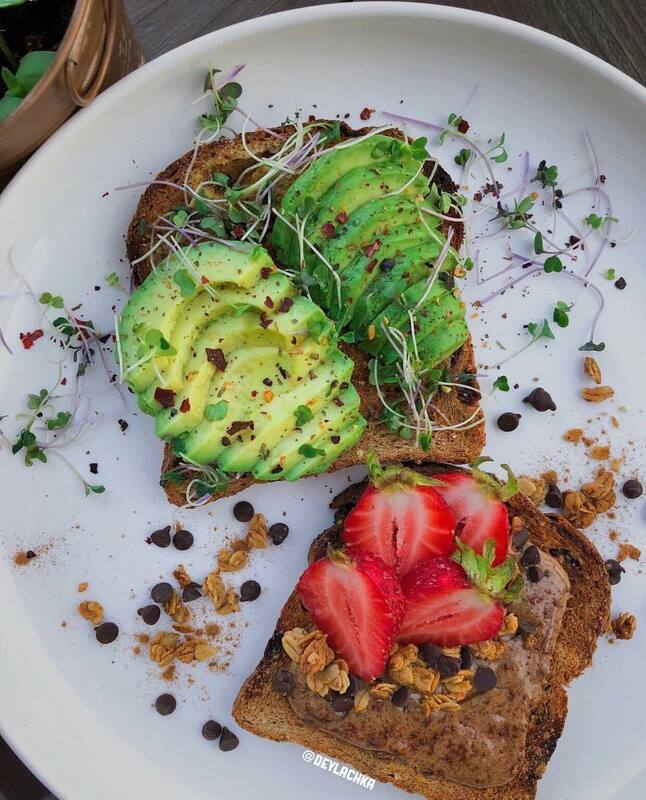 Next article 37 Vegan Breakfast Recipes That Make A Perfect Start To Your Day! 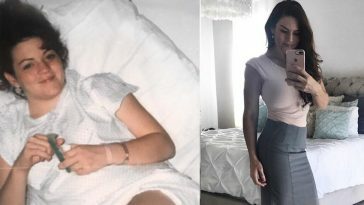 How Hannah Hindmarsh Lost 80 Pounds After Battling An Eating Disorder & Depression! 63 Budget Weight Loss Recipes That Will Help You Lose Fat, Not Money! 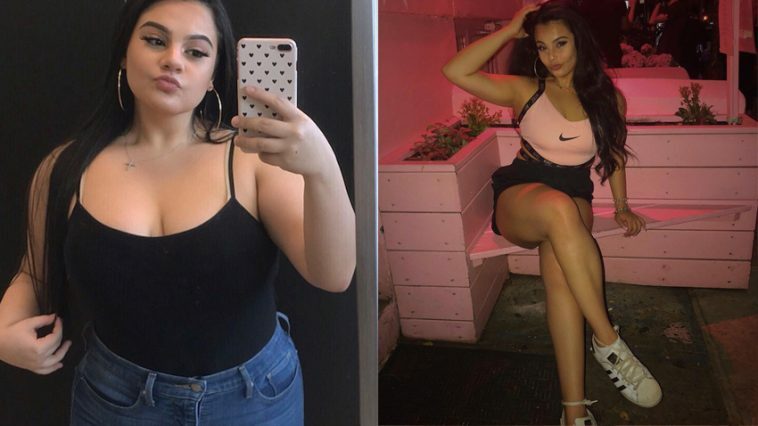 How Savannah Ortiz Lost 100 Pounds After Receiving A Huge Wake-Up Call! 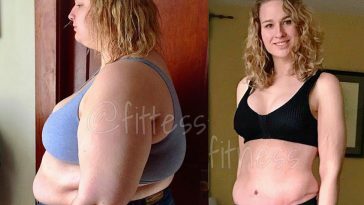 Tess Fitzgerald Went From Graduating High School At 330lbs To Losing 200lbs! 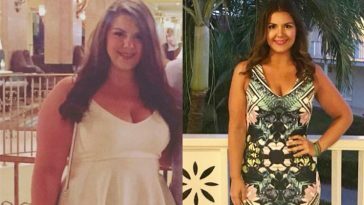 Find Out How Brie Simeoni Lost 75 Pounds By Switching To A Keto Diet! 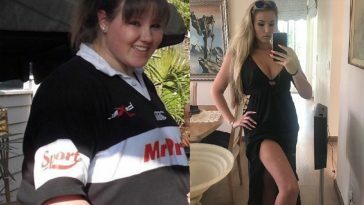 Casey Viviers Details Exactly How She Lost 55KGS In Just Over 1 Year!